My family loves Chicken Parmesan. I was blown away after my first taste of this soup. It totally lives up to its name and tastes just. like. chicken. parmesan. In a soup! It’s the perfect pick me up, sit down dinner during all this cold, rainy weather we’re having here. 1. In slow cooker, stir together garlic, bell pepper, crushed tomatoes, chicken, broth, onion, 1/3 cup cheese, basil, oregano and red pepper flakes. Cook on high 4 hours or on low 8 hours. 30 minutes before end of cooking time, transfer chicken breasts to cutting boardand coarsely shred; return to slow cooker. Stir in pasta. 2. 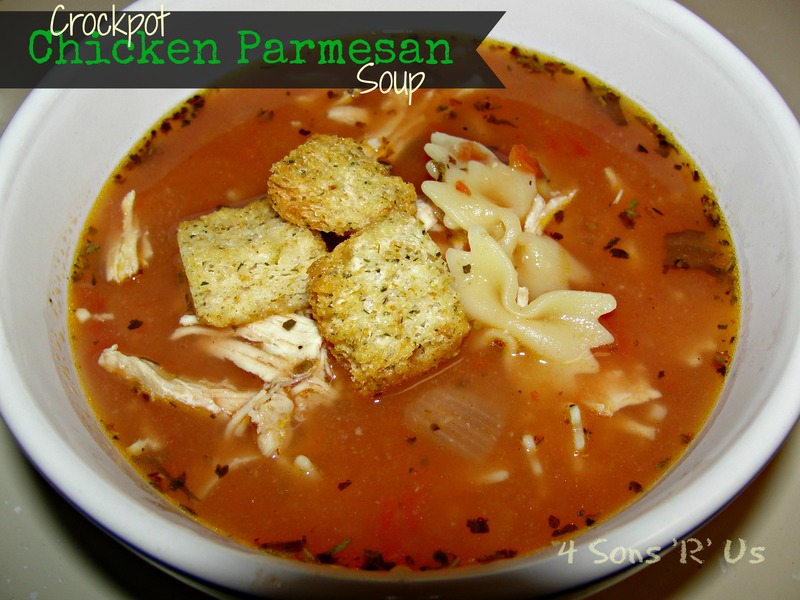 Serve garnished with extra Parmesan cheese, chopped basil or parsley, and croutons. In central Virginia we say, “Wait 15 minutes. The weather will change.” This storm has proven the saying to be true today. All day, every 15 minutes. So far we’ve had rain, sleet, snow, freezing rain, and hail. Now, it’s decided it would like to sleet, but threw in a pinch of thunder and a dash of lightening. Seriously?! Ice Lightning? Go home Weather, you’re drunk. Really though, this wonky winter weather recipe has our family staying in doors for the rest of the afternoon and evening. That put the kibosh on my plans to pick up the carry-out I’d been craving for dinner. Bummer? Not anymore! I’m making my favorite restaurant chicken right at home. Delicious dinner, and staying safe and dry? Don’t mind if I do. Nobody’s going to ‘rain’ on this girl’s parade today. Alice Springs Chicken has never tasted better than it does when made fresh in the comfort of your own home. This savory (and cheesy, we can’t forget cheesy) chicken is even better with our easy, homemade honey mustard sauce for dipping. 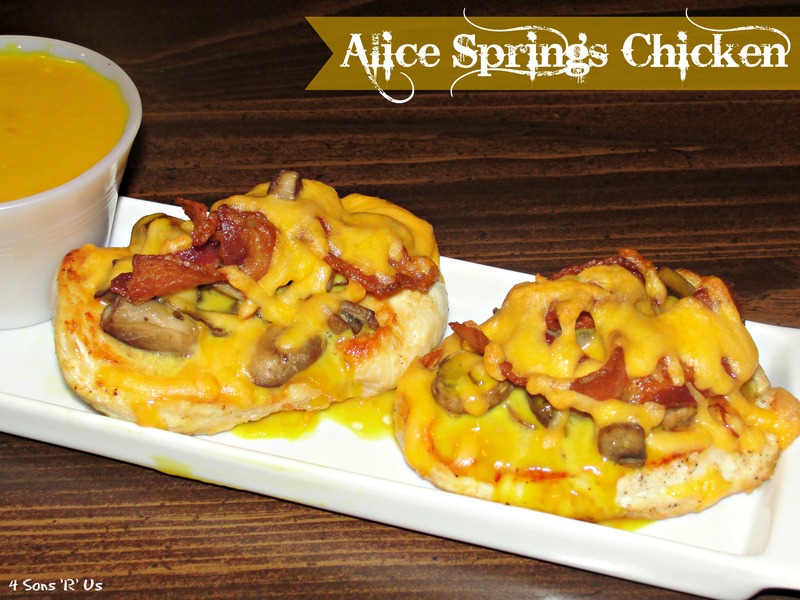 If Alice Springs is your thing kind of chicken, don’t let a night indoors stop your from enjoying your favorite dish. 1. Sprinkle and rub the chicken breasts with seasoning salt. Cover and refrigerate for 30 minutes. 2. Meanwhile, cook bacon in a large skillet until crisp. Remove bacon. ***Do not discard grease. *** Saute chicken in the bacon grease for 3 to 5 minutes per side, or until browned. Move chicken to a 9×13 pan. 3. 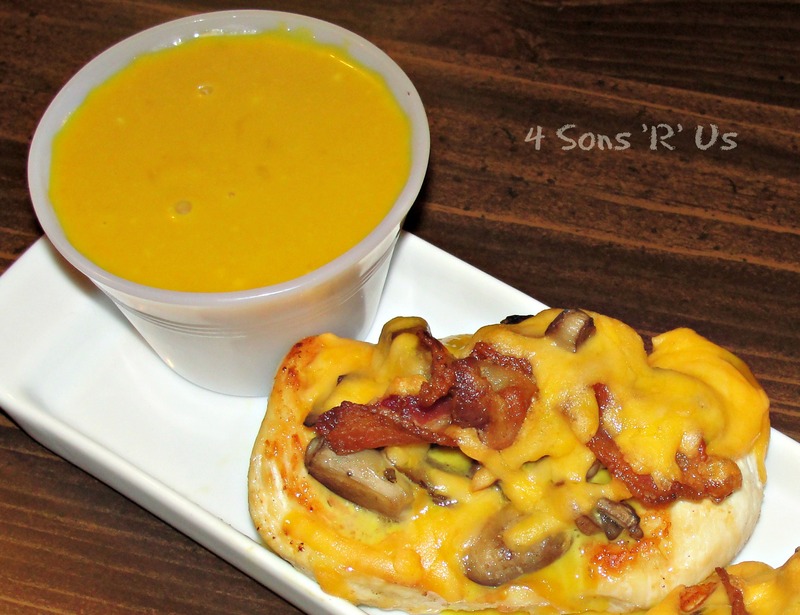 Apply the honey mustard to each breast, then layer with mushrooms, bacon, and shredded cheese. 4. Bake in a 350° oven for 30 minutes, or until cheese is melted and chicken is done. 5. Serve with extra honey mustard sauce for dipping. 1. In a small bowl combine 1/2 cup mustard, 1/4 cup corn syrup, 1/4 cup mayonnaise, and 1/4 cup honey, mixing well. Add more honey if necessary, depending on how spicy/strong your base mustard is. 2. Refrigerate and allow to ‘chill’ before using.